The London Eye is among one of the most iconic attractions in the entire city. Situated on the southern bank of the River Thames, the London Eye stands at an amazing 443ft, providing city-goers with an obstructed view of the city. 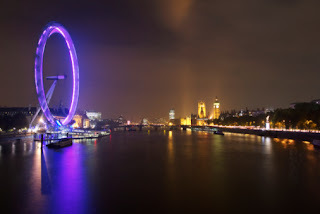 At night, the London Eye takes on another character altogether, as it becomes a colorful disk of light. The London Eye originally featured fluorescent lights that were outfitted with gels to provide color when it was needed. With their limited life spans and inability to change color, however, fluorescent lamps proved to be high maintenance and somewhat limited in use. Philips and its Color Kinetics line of LED lighting came to the rescue. In 2006 Philips provided nearly 650 fully programmable and addressable LED modules. 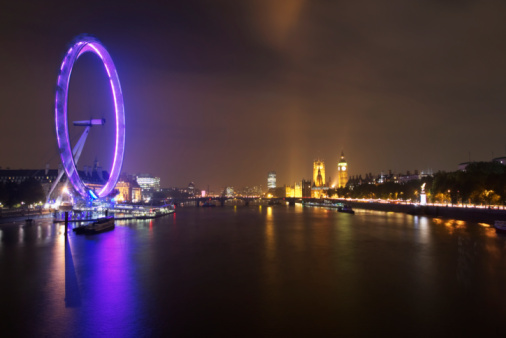 Today, the London Eye remains a beacon of light and is a testament to the usefulness of LED lighting. BulbAmerica stocks a wide variety of LED products and an extensive catalog of Philips light products. We are always adding new LED modules and fixtures to our product lineup, so be sure to check them out regularly. If you want to find out more leave a question on our Facebook or blog today!